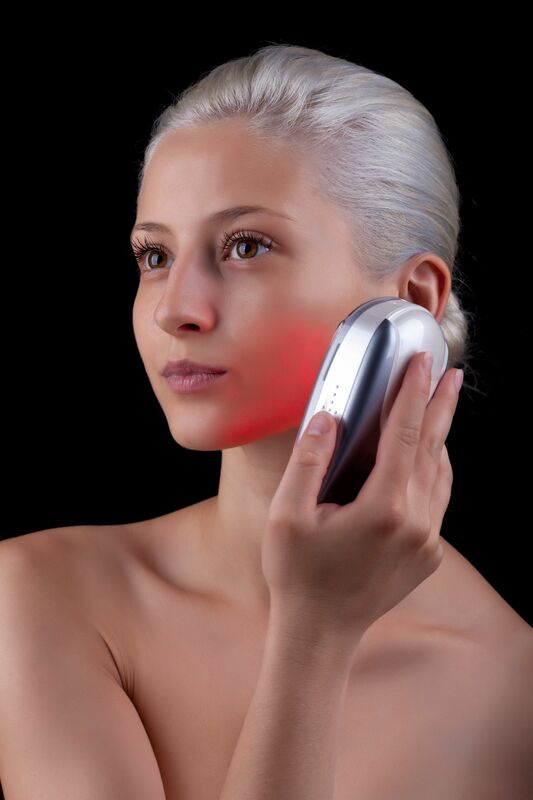 In studies, red light therapy has been shown to greatly speed up skin healing and repair. It isn’t known for certain how it accomplishes this effect, but it appears that the effect is due to more energy becoming available to the cell. Does Red Light Therapy Work for Skin Rejuvenation? Red light therapy works on the overwhelming majority of people to induce collagen repair, healing and restoration of the skin’s natural radiance. Sagging skin tightens and regains some of its plumpness. Undereye circles due to aging may be improved if they are caused by the skin thinning in the undereye area (letting the blue veins show through). Red light therapy itself was discovered by NASA. They had noticed that astronauts in space wouldn’t heal quickly if they got cut or hurt. NASA developed LED light therapy technology to help the body heal. Scientists have known for a long time that light affects the human body. We produce vitamin D when we are exposed to sunlight. And we wouldn’t be able to see if it wasn’t for the way light affects our eyes. So it isn’t surprising that researchers have discovered even more effects of light on our bodies. Scientists used to believe that the skin stops repairing itself after a certain age, but this has turned out to be incorrect. We now understand that the skin constantly works to repair itself- it’s just that as we age, it’s not so easy for energy to get to our skin cells anymore. The two main culprits of skin sagging, thinning and wrinkling are sun damage and the body’s own aging process. The body does have cells working constantly to repair skin, but they don’t work as well as we age. The decrease in functioning isn’t from wear and tear on those cells- it’s because the cells get less and less energy as we age. Over time, not only does our metabolism slow, blood flow to the cell decreases. LLLT encourages renewed blood flow to the area, which helps skin cells acquire energy in their usual way. Studies also suggest that it has more than one mechanism of action. The skin has cells called fibroblasts that are responsible for producing collagen and elastin. As we get older, not only does a fibroblast’s work load get bigger, but our slowing metabolism deprives it of the energy it needs to function to the best of its ability. So even though the aging fibroblast can produce lots of collagen and elastin, it doesn’t because it doesn’t get enough energy. In addition, aging skin produces lots of an enzyme called matrix metalloproteinase (MMP). MMP are responsible for destroying the structure that keeps skin looking firm, plump and tight. The more MMP the skin produces, the more its collagen and elastin weaken and break down. Red light therapy inhibits the action of MMP. It appears that it’s not possible to get these effects of red light therapy/LLLT with just any red light. The light’s photons must be powerful enough to reach the skin cell, even those beneath the surface. To be effective, the light has to be strong and the source must be placed as close to the skin as possible. Do I Need Eye Protection for Red Light Therapy?